With the haunts and spooks of Halloween behind us, Thanksgiving approaches with a proper cornucopia of delicious flavors! We may still be deciding whose house will host the turkey, but the biology of some of our Thanksgiving favorites is fascinating all year round—so if the idea of mashed potatoes and sweet potatoes sounds a-maize-ing, let’s dig a little deeper into the biology of a holiday dinner staple: tubers. Potatoes are among the world’s most common crops because of their high energy content, which comes from all of the starch in a potato. Essentially, a potato is a tuber - a specialized portion of a plant that can store starch. But is the potato tuber a stem or a root? Even though it’s underground, the tuber that we eat is actually a modified stem. More precisely, potato tubers are actually enlarged portions of a particular kind of modified stem called a stolon (similar to a rhizome, if you are familiar with ginger). Stolons can produce their own new roots and shoots, which you probably discovered if you have ever forgotten a bag of potatoes in the back of the cupboard and found all sorts of growth extending from the “eyes” (actually called axillary buds). The potato’s ability to form new growth is why farmers are more likely to use “seed potatoes,” simply cut up potatoes, to grow the next round of crops. Planting from actual seeds can take quite a long time and is rarely done unless the grower is trying out new varieties of seeds. Similarly, yams are also stem tubers. Our word "yam" can refer to a large number of viny plant species, some of which can grow to be up to 35 feet long. Like the potato the underground portion of the plant contains an enlarged stolon, and in this case the tuber has a tougher outer skin to protect the stored starch. It’s worth the mention that here in the US, when most of us say “yams,” we actually are referring to sweet potatoes. 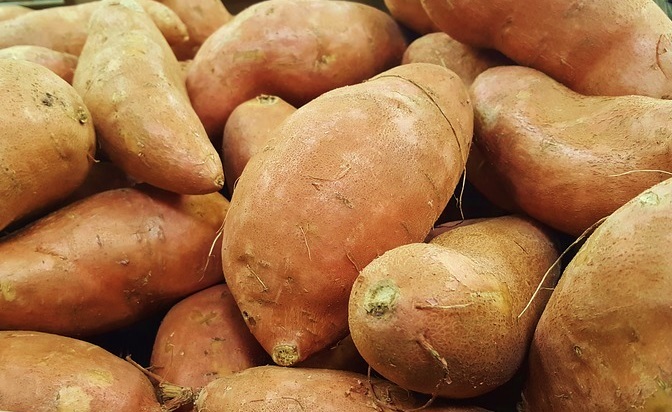 The names are often used interchangeably, partly because the vegetables look similar, but the sweet potatoes and yams are unrelated and taste quite different. 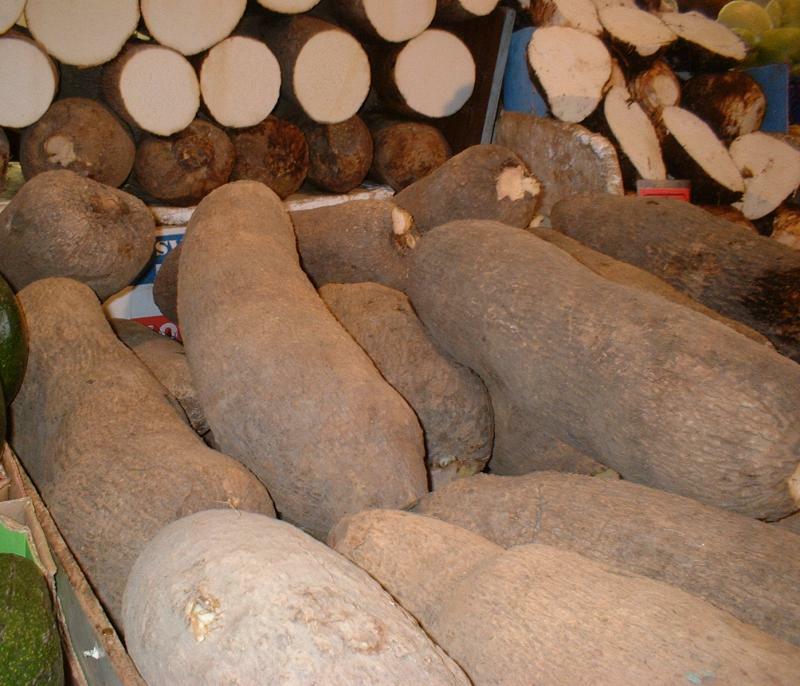 The multiple species of edible yams are in a group of flowering plants called monocots (a reference to seed anatomy), and cultivars of yams are derived from plants native to Africa and Asia. Sweet potatoes are in a different group of flowering plants called dicots (also a reference to seed anatomy), and their flowers look like morning glories because they are in the same family! Connecting to the Outdoors Tip: No matter what time of year, you can try growing potatoes at home. Colder months will require a bucket of soil indoors and lighting.